That finish line is looking so close! Really it’s not the end of anything, except maybe blogging every single day about food, lol. After all the information overload from yesterday I think I’m actually doing okay today. I just keep thinking about how it is that I can make myself healthier and better. I know this new way of eating is worth it for my health long-term so I truly have no desire to cheat or go back to eating the way I was before Whole30. I did have a dream about bread though! Damn subconscious will get you every time. 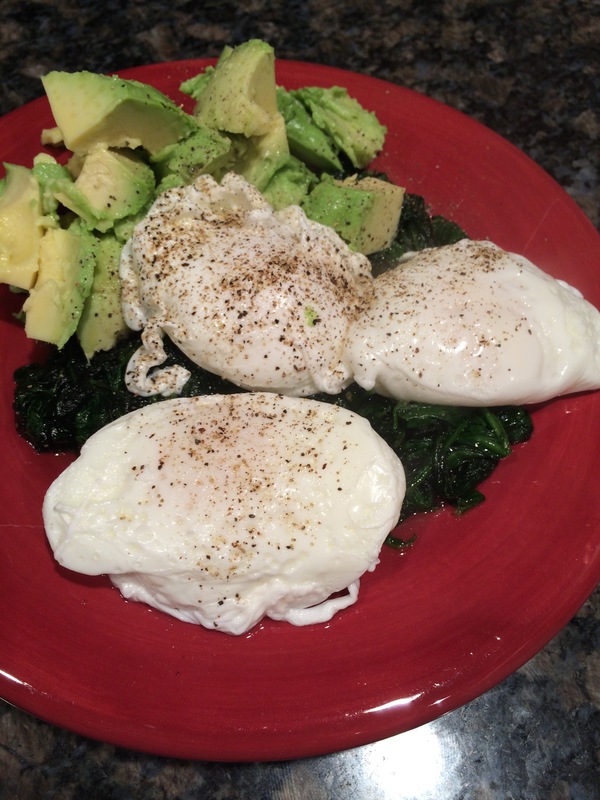 No more crack slaw until I make some more so I had to settle for spinach, poached eggs, and an avocado. 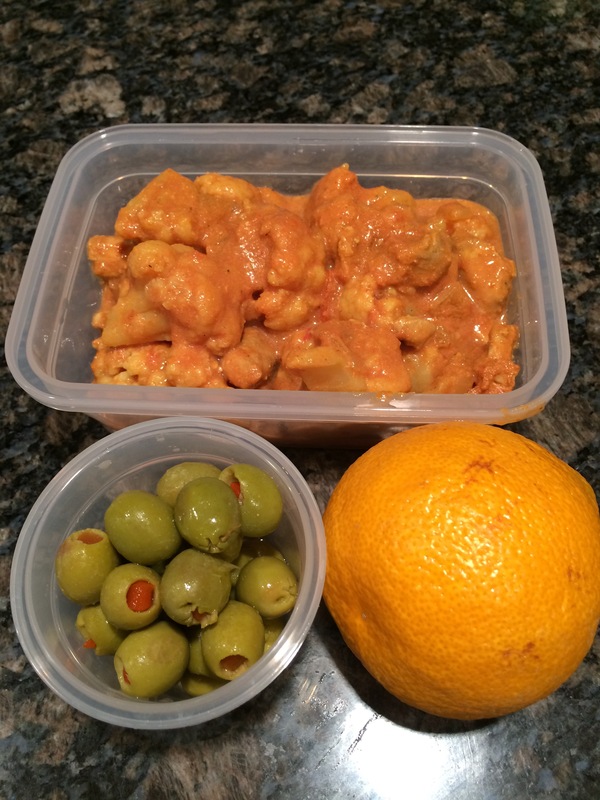 Curry chicken with green olives! Seriously so good. I thought I didn’t like curry very much but I think it’s growing on me. I had an appointment after work and didn’t get home until around 11 AM, when I usually eat dinner by about 8 AM. I was STARVING! 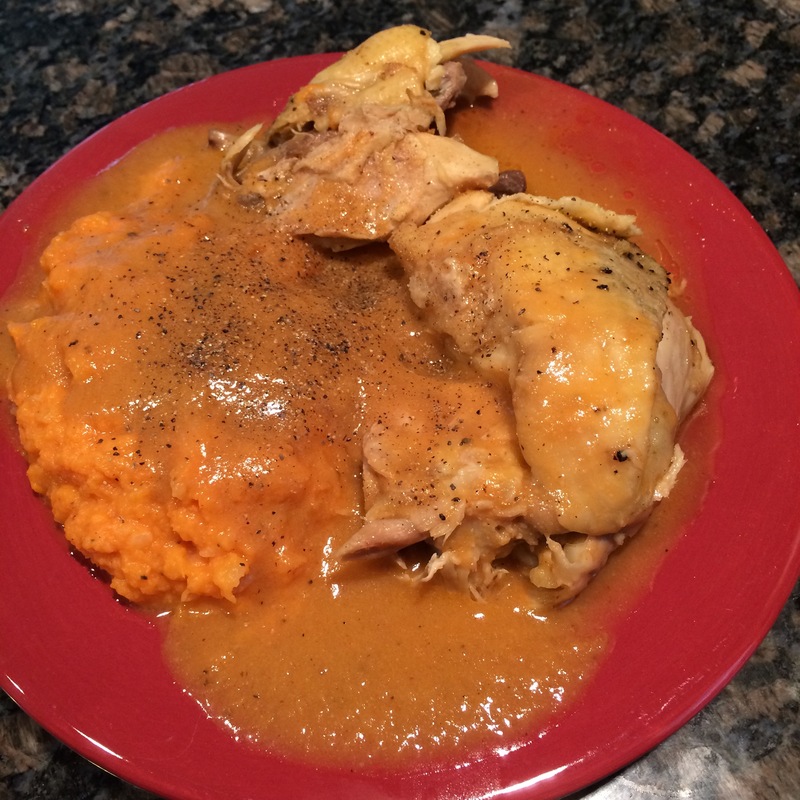 Chicken, sweet potatoes, and gravy! I was in heaven! This gravy is really so good that I wouldn’t miss regular gravy and I don’t think anyone else would notice either if they weren’t told. I heard something interesting on a podcast I’ve been listening to lately called The Nourished Podcast by Shawn Mynar and Meg Doll. They mentioned how important it is to add salt into your diet when you’re eating clean/Whole30/cooking from scratch, because you’re no longer eating processed foods with tons of added salt for preservatives. And apparently not enough salt can cause low blood pressure. I don’t think I have low blood pressure but this is something to think about for sure. While processed foods have way too much salt our bodies still need salt and other minerals to function properly. I swear, sometimes it seems that there is just so much to know and keep track of. I guess all we can do is keep learning. Speaking of learning. I’ve been thinking lately about going back to school for some type of nutrition degree. I’m not sure exactly what this degree would be called because I haven’t researched it much, but I do know that this is the sort of thing that really interests me, and I love helping people. I’ve been private messaged and texted by several people during this little journey of mine and I’m not even kidding when I say that it makes me so happy to have some type of positive impact on a person in terms of them learning more about their bodies and healthy eating/living. I think this may have become my new passion, who knew!